Professional Regulations Commission of the Philippines. 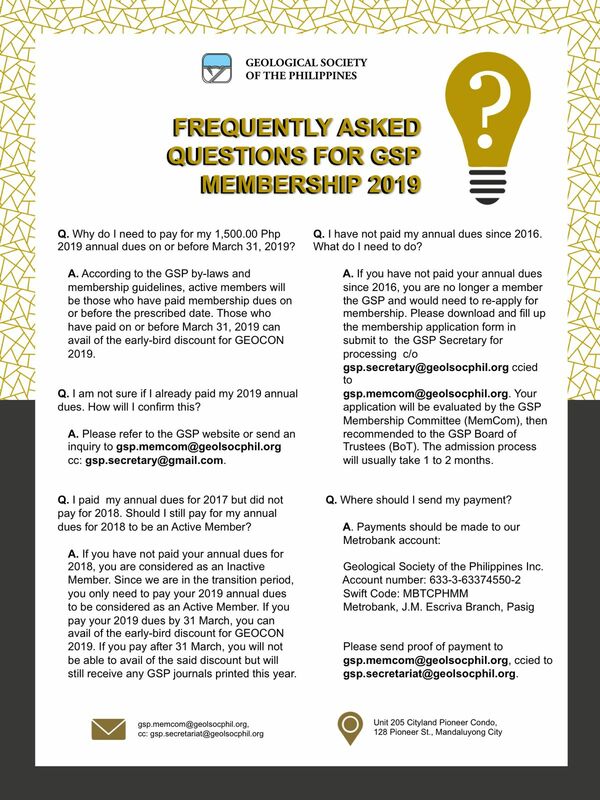 of the Geological Society of the Philippines. Technical papers are presented here. on the first or second week of December. papers for sale to interested individuals. Stratigraphy" are also on sale here.